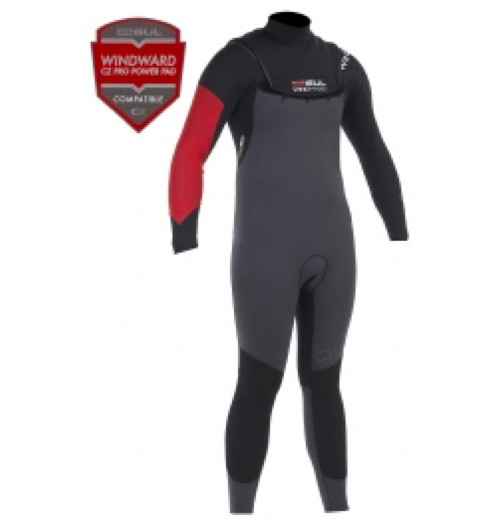 The Gul Profile Windward Zip Free suit is designed to keep you warm in the coldest conditions. The zip free pullover velcro neck entry, allows for maximum flexibility. Designed using our tested and proven X-Flex & X-Flex Thermal super stretch neoprene for maximum performance on the water. Combined with the abrasion resistant Duratex seat panel and Powertex knees. All seams are blind stitched and critically taped. The Perfect race suit! Seam lock: zip free pullover velcro neck entry system, for maximum flexibility.